Memorial Weekend is definitely one of the more popular weekends in the mountains around the U.S. and this is true in Mount Shasta. Many of the more popular trails get a lot busier as all the vacationers get out and enjoy the great weather and the amazing beauty of the region. Some of the trails, like the McCloud River Trail and the path up to Heart Lake, can get particularly busy. Thankfully, this is relative, and these paths don’t seem that crowded compared to popular trails in the Sierra Nevada or around the Bay Area. 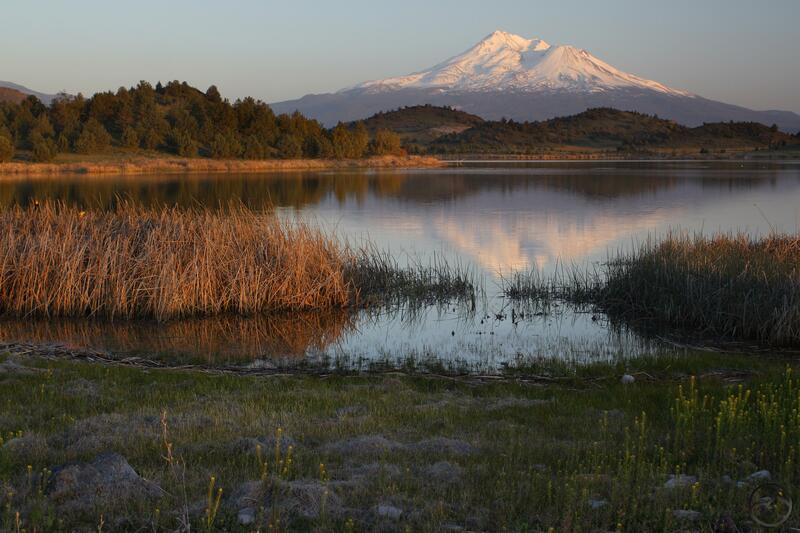 Still, for those looking to get off the beaten path and enjoy a great hike without much company, the Mount Shasta area has plenty to offer. 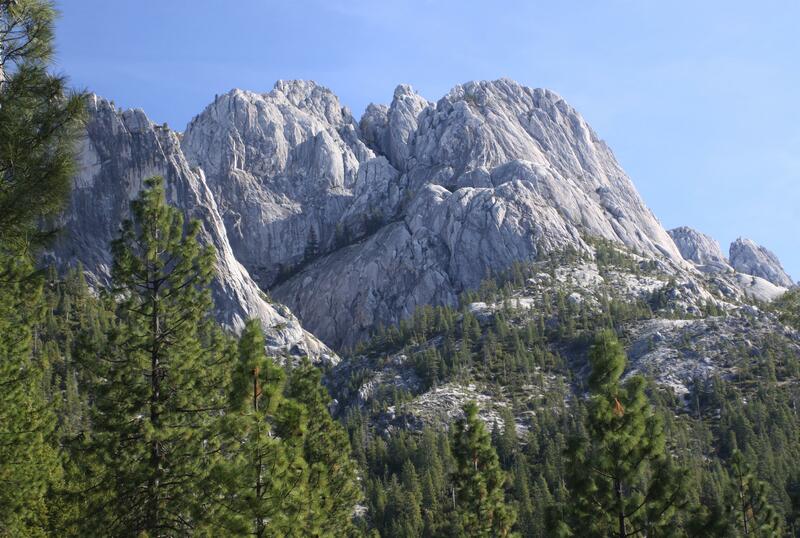 Spring is a great time to hike the Castle Crags. They are still a good option in the summer but the trails there can get hotter than many of the other trails in the area when temperatures climb. Memorial Day weekend lies right on the cusp of the good Crags hiking season and when the heat makes them a little uncomfortable. That being said, the traverse of the Castle Crags lower flanks is a great trail to do this weekend if a shuttle can be arranged. It is almost entirely downhill and crosses many cool streams. It is early enough in the year that the streams still have strong flow. The clear water rushing through granite boulders is a delightful scene on a long hike. The trail crosses no less 6 creeks between the Dog Trail intersection and the PCT trailhead at Soda Creek. In addition to the creeks, there are some great views of the Crags’ soaring towers, the Castle Creek Valley and the enigmatic Grey Rocks. Since this requires a shuttle, this section of the PCT does not see a lot of heavy use, even on a holiday weekend. The Shasta Valley is fantastic in spring. the grass is green and flowers are blooming everywhere. Of course, the stunning view of Mount Shasta’s north side is an incredible sight from nearly everywhere in the valley. While there are not many trails that explore the largely agricultural region, there are a few good ones scattered about. 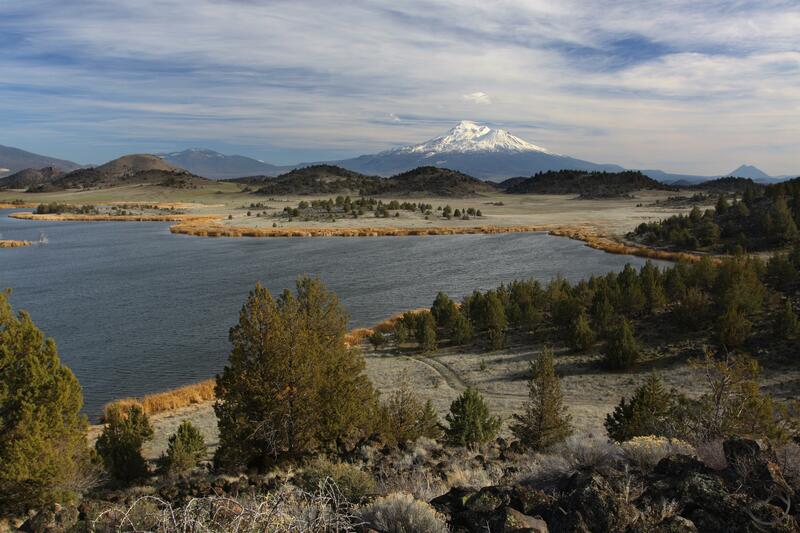 One of the best is the Trout Lake Trail in the remote Shasta Valley Wildlife Refuge. Memorial Day weekend is not the peak of the Refuge’s spring glory but there is still enough green and a few flowers left to hint at the passing season. 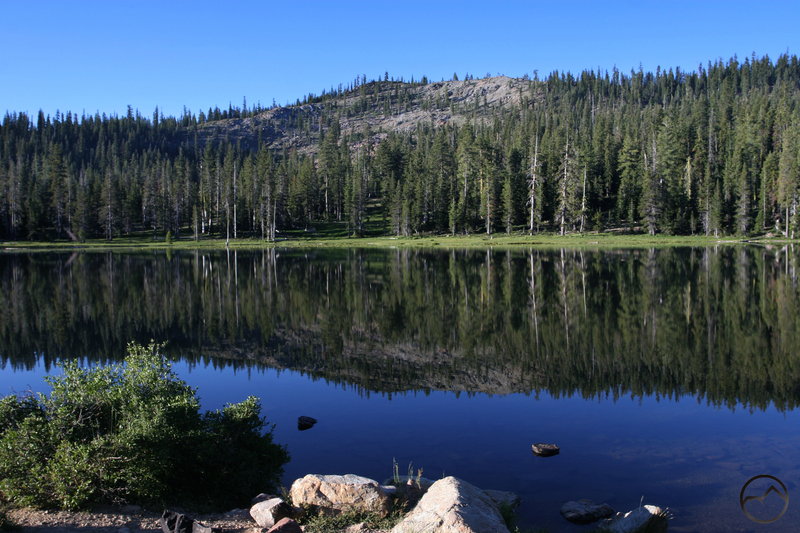 Nonetheless, the high desert landscape, beautiful lake and incredible 360 degree views make a fantastic place for a hike. Though the Trout Lake Trail is not long, there is plenty of room to explore. In addition to the trails alongside the lake, consider following the old ranch roads from the trailhead to Bass Lake as one option for some investigation. Whether checking out new routes or staying on the main path by Trout Lake, the views are tremendous. The high country is really starting to open up in the Trinity Divide but vestiges of the winter snow still lingers, blocking access to some of the trailheads and covering patches of trails in some places. However, the road up to Gumboot Lake is wide open, which means that the Gumboot Trail beckons. This is not a popular or well known path, since it is really just a connector to the PCT but when combined with a section of that trail, especially to the south, it takes on a whole new identity. The PCT has incredible views of Mount Shasta, the canyon of the South Fork of the Sacramento and the Trinity Alps. Many of the craggiest and prettiest part of the Trinities are visible from this part of the trail and some of the peaks, like Billys Peak and Billys Peak Lookout are only a dozen miles away and very prominent. This is not to say that Gumboot Lake and Upper Gumboot Lake are without their charms. The grass fringe ringing the lakes is green and lush, the outlet creek is flowing and a little snow still clings to the cliffs of Gumboot Point. All in all, this is a great taste of high country adventures to come over the rest of the summer.